vedictruth: Manu Smriti on Womanhood: What is Right and what is wrong? When was Manu Smriti authored? What was its sole purpose? What is its relevance today? What is the message given in it? Is it being followed today? Is Indian constitution based on teaching of Manu Smriti? Nothing. No one knows anything but shouting. The main aim of shouting against Manu Smriti are the vested interests. Foremost being securing the Dalit Votes. Next is to prove oneself as secularist. The most interesting is to become a puppet in the hands of foreign forces through the strings of NGOs. All these attempts are sides of same coin. No doubt that by shouting every activist feels himself as a champion, as a hero. Many things that they are soldiers of Soviet Bolshevik revolution who got right platform for spreading Marxism and Leninism. But Truth never becomes untruth even if shouted thousand times. In the Middle Ages Manu Smriti was adulterated by few ignorant persons. Denigrating women, denouncing the Varn Vyastha, propagating the birth based caste system were main interpolations done by these culprits. This fraud was exposed first by Swami Dayanand, the great Vedic scholar of the 19th Century. He writes: “I believe in that part of Manu Smriti which is not interpolated (appended later) and is in accord with the Vedas.” He concludes that the Manu Smriti we read today is not as originally laid down by Swayambhu Manu, the first Chief of Humanity. 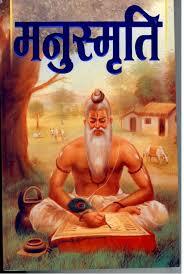 As it now is, he found the text as self-contradictory and against the values espoused in Vedas, and hence injudicious. He therefore rejects those prejudicial texts which advocate discrimination against populations with alleged inferior status. This main idea led to editing of the adulterated text of Manu Smriti. This pure or Vishuddh part was published by many scholars. The most famous work is done by Dr. Surender Kumar (Presently Vice Chancellor of Gurukul Kangdi University, Haridwar). Every readers will accept the Manu Smriti after correction once he is aware what is mentioned in it. Let us look up the text itself pertaining to women. We here give few examples. 3/56. Where women are honored, there the gods are pleased; but where they are not, no sacred rite yields the desired result. 3/59. Hence, men who seek (their own) welfare, should always honor women on holidays and festivals with (gifts of) ornaments, clothes and food (as desired by them). 3/58. Houses perish completely, as if destroyed by magic, on which female relatives pronounce a curse, upon not being duly honored. 9/28. Upon one’s wife alone depends the welfare of the offspring’s, due and fruitful performance of religious rites, faithful service of all in the family, superior conjugal happiness and the blissful existence of our ancestors in heaven and of our self. There are many similar examples from Manu Smriti which depicts women in respectable and honorable manner. The adulterated part of Manu Smriti must be rejected. But there is no harm in accepting the right portion. The very idea of just burning the book is a cheap publicity stunt. I am not wrong in saying that the act of burning Manu Smriti is similar to what Islamic invaders did by burning the libraries of Nalanda considering everything as Shirk (wrong) and Kafir (infidel) without proper analysis and research.